Dirty Bible Stories explores six of the most disturbing stories from the Bible - from the sexually explicit Lot and his daughters to the hyper-violent homicides of Josiah to the ghoulish resurrection of Lazarus - and views them through the fractured lens of 20th Century American iconography. 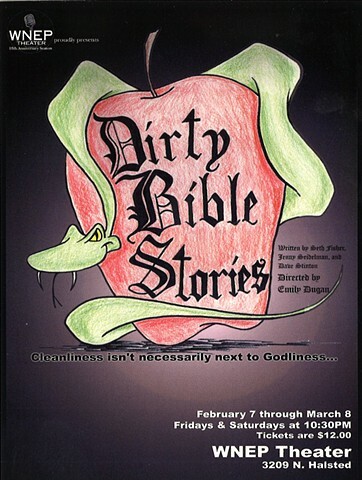 Poster for Dirty Bible Stories by Dave Stinton. 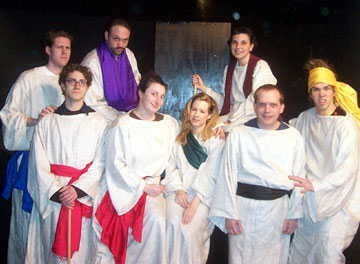 The cast of "Dirty Bible Stories". 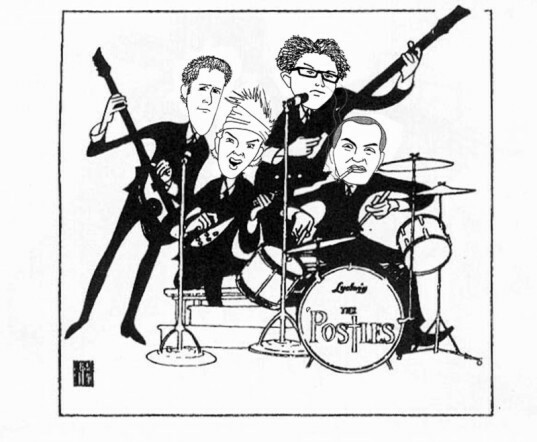 A illustration by Noah Ginex of the cast of "Paul: Behind the Apostle" from "Dirty Bible Stories".